The catalytic properties of non-noble elements and their alloys are usually rather poor. To the researchers' surprise, one alloy made up of five almost equally balanced components offer much better properties. This is because of the so-called high entropy effect. It causes multinary alloys to maintain a simple crystal structure. "Through the interaction of different neighbouring elements, new active centres are formed that present entirely new properties and are therefore no longer bound to the limited properties of the individual elements," explains Tobias Löffler, PhD student at the RUB Chair of Analytical Chemistry – Center for Electrochemical Sciences headed by Professor Wolfgang Schuhmann. "Our research has demonstrated that this alloy might be relevant for catalysis." If the nanoparticles are located in the vicinity of the respective atom source, the percentage of atoms from that source is higher in the respective particle. In the centre of the carrier, all five elements are present in more or less equal quantities. "This combinatorial process enables us to precisely control the composition of the alloy nanoparticles anywhere in the material library," says Alfred Ludwig. "These findings may have far-reaching consequences for electrocatalysis in general," surmises Wolfgang Schuhmann. 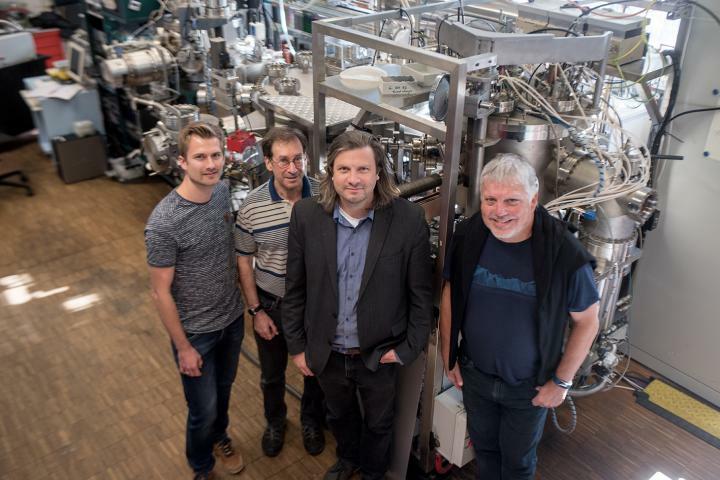 The researchers are hoping to adapt the properties for any required reactions by taking advantage of the almost infinite number of possible combinations of the elements and modifications of their composition. "Accordingly, the application will not necessarily be limited to oxygen reduction," says Ludwig. The research team has already applied for a patent. However, as the interplay of the elements is not fully understood, the researchers cannot develop any specific catalysts as yet. "This research project lays the foundation for further studies to gain a better understanding of the process, and it introduces high-entropy alloys made up of multiple elements as a new catalyst category," point out the researchers.